One of Ireland’s best known birds the curlew is on the “edge of extinction” and one of the country’s “highest conservation priorities”, experts have revealed. That’s according to Dr Anita Donaghy, Senior Conservation Officer with Birdwatch Ireland, ahead of their workshop on the curlew. A one-day workshop for experts and local community representatives will take place on 4th November at the New Forest Golf Club in Co Westmeath to address plight of the curlew, an Irish bird, to stop its extinction. This national workshop is organised by BirdWatch, University College Dublin and Mary Colwell. They all condemn the significant decrease of breeding pairs from 5,000 in 1980 to 150 today according to a national survey commissioned by the National Parks and Wildlife Service in 2015 and 2016. The curlew is a distinctive species with its down-curved bill who is easily recognised in the rural Irish landscape. They are seriously threatened, “on the edge of extinction” and “become one of the country’s highest conservation priorities”, said Dr. Anita Donaghy, Senior Conservation Officer. Most of the remaining pairs nest on bogs, with a smaller proportion nesting on farmland. Key areas in the country include the Stacks in north Kerry, Lough Corrib and the bogs of the midlands, with smaller populations in Donegal, Monaghan, parts of south Leitrim and Lough Ree. Loss of peatland habitats and continued peat extraction are likely to be key causes of the decline, as well agricultural intensification, drainage and afforestation. Predation by foxes is also likely to be a key factor. 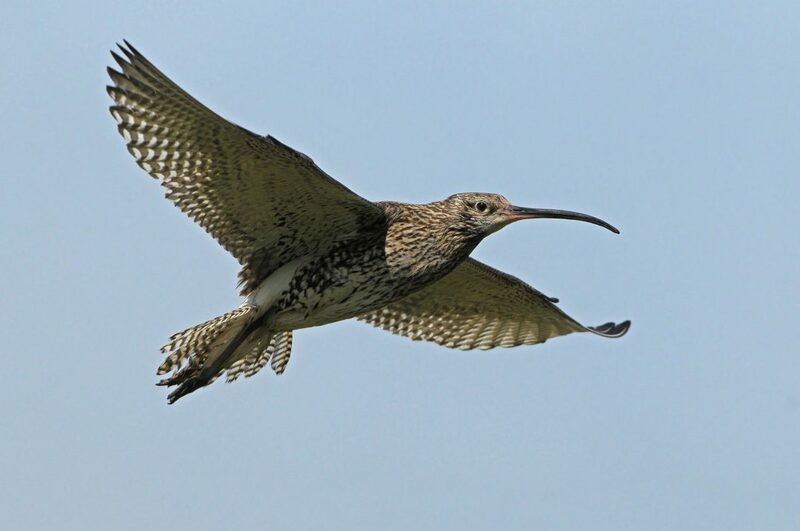 “Our aim is to bring together all the people concerned about curlews in Ireland. Urgent action is needed to save the curlew and we hope that this workshop will help to find solutions to the many problems facing them,” said Mary Colwell. The workshop is being supported by the National Parks & Wildlife Service and the Heritage Council. Laurie is a contributor to the Green News. She is currently undertaking a Master's Degree in Environmental Policy at Sciences PO Grenoble in France.